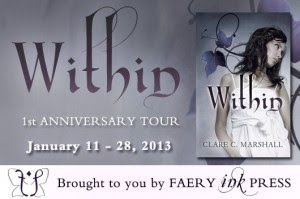 I'm excited to be a part of the blog tour to celebrate the first anniversary of Clare C. Marshall's Within! I have a review of the book for you today, and there's also a giveaway in which you can win a copy of Within plus some swag from Faery Ink Press. Or, perhaps not . . . . Within is an ambitious novella that presents two main challenges to the reader. First, the story is told from multiple points of view, including that of a truly vile villain. The POVs shift frequently and within chapters, so it’s not as though a single character narrates a whole chapter. Second, some of these characters are quite unlikable, and one is just beyond despicable. I thought that both of these aspects combined to give Within an edgy feel to it that at once made me nervous about what was going to happen next and anxious to read on and find out. I really liked the way in which the multiple POVs were handled. I didn’t find them confusing to follow at all, and I think that this style worked very well for the story. My only problem was that I didn’t always like what the characters were thinking, but that’s the type of book Within is. It’s not a fluffy, sugary tale. Clare Marshall took a unique approach to telling this story, and it paid off greatly. Even with access to their thoughts, I couldn’t understand the actions of Trinity’s mother, Stephanie, and Trinity’s best friend, Ellie. “Best” is a word that should be used loosely in Ellie’s case because she spends most of the book pining away for Trinity’s boyfriend, Zack. Even after the car accident that leaves Trinity severely brain damaged. Actually, “pining” isn’t even the right word to describe how badly Ellie wants Zack all to herself. Even after Trinity’s accident. Note to Ellie: moving in on your best friend’s boyfriend right after she’s suffered brain damage is so not cool. Trinity’s mother, Stephanie, equally frustrated me. All this woman thinks about is her volunteer job helping mayoral candidate Wiley Dalton get elected. If there were a prize for having a one-track mind, there’d be a dead heat between Stephanie and Ellie. While the logic, or lack thereof, of these two characters made my head spin, I admit that their behavior made for intriguing reading. I got the impression that not all of the characters in Within were supposed to be likable, that their actions were meant to raise eyebrows. Interestingly, I think that this had the effect of making Zack look a little too perfect, though he is definitely not without faults. It’s just that in comparison to Ellie and Stephanie, Zack appears saintly. I knew going into this book that it was a dark, intense read, and it was. There were some scenes of violence and a POV from a hate-spewing villain that made me shudder. Although there is a touch of the paranormal to it, Within could also easily fall under the thriller genre because at its center is a ruthless, murderous maniac who is determined to carry out his twisted plans. 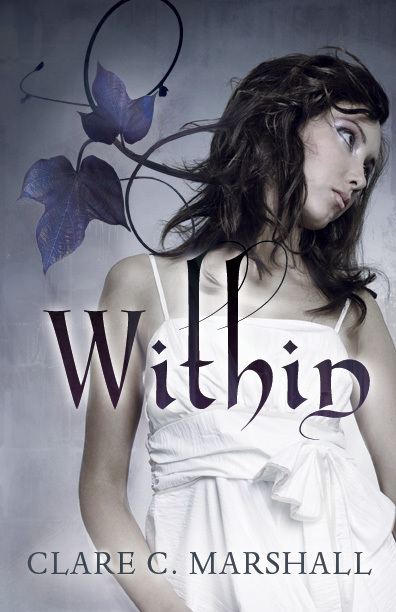 Within makes the most out of its novella-sized length with both a thought-provoking plot and characters. What really stood out for me, though, was the narrative technique. Marshall skillfully uses the multiple POVs to assemble her chilling tale suspenseful piece by suspenseful piece. This is a dark, gritty read with characters who are not easy to warm up to. It’s also a gripping read, thanks to the way in which the story comes together through the eyes of different characters. Clare Marshall grew up in rural Nova Scotia with very little television and dial up internet, and yet, she turned out okay. She has a combined honours degree in journalism and psychology from the University of King’s College, and is a graduate from Humber College’s Creative Book Publishing Program. She founded Woulds & Shoulds Editing and Design in 2010 for self-published authors and businesses looking for quality editing and design services. 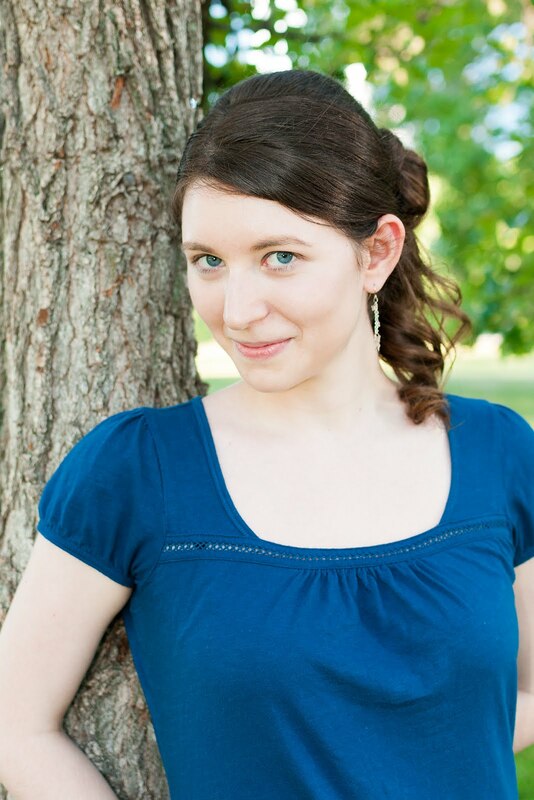 She enjoys publishing books through her publishing imprint, Faery Ink Press, and released her first novella, Within in 2011. When she’s not writing, she enjoys playing the fiddle and making silly noises at cats. You can find Clare on Facebook, Twitter, her website, and Goodreads. I read the violet fox and enjoyed it..glad to hear her next book is good as well! I enjoyed The Violet Fox, too. Within is quite different; I really liked the alternating POVs.